JAL will celebrate Tanabata Festival between July 3 and July 7 2013. Image by Japan Airlines. Tanabata is a Japanese star festival. Japanese celebrate Tanabata by writing their wishes on a small piece of paper and hang it on a bamboo tree. Japan Airlines (JAL) will celebrate Tanabata with this tradition by setting up bamboo trees at airports all over Japan. Between July 3 and 7 2013, JAL will set up bamboo trees either at check-in counters or departure gate at domestic airports. Passengers will be able to write down their wishes on a piece of paper and tie them to the bamboo tree. Back in 2008, JAL collected around 45,000 wishes from customers. So there's no way JAL could left all of the wishes stay on the tree for the entire time. Although the wishes will be removed before July 7, JAL will collect ALL of them and bring them to a temple in Sendai where a ceremony will take place. 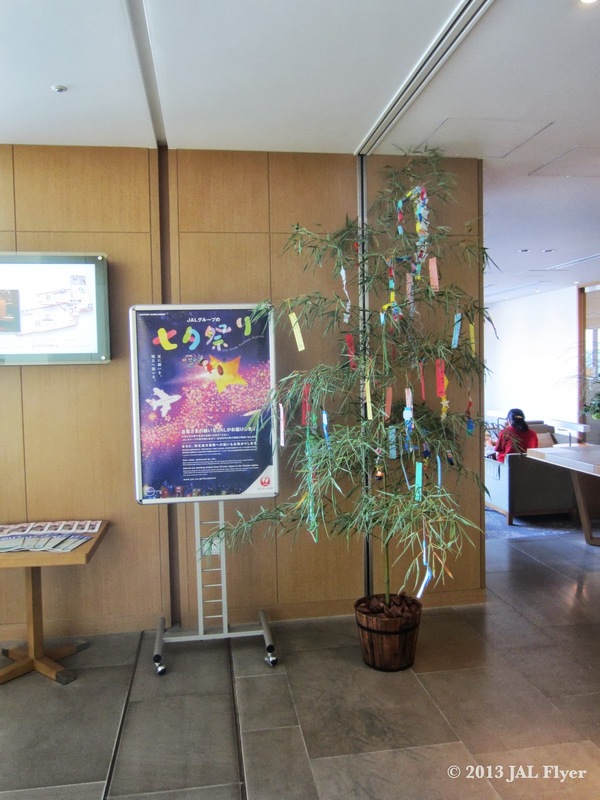 If you visit JAL Tanabata 2013 page (Japanese only), you will be able to see pictures from last year's celebration at different airports including Boston and temple at Sendai. Although the announcement page only specifically mentions domestic airports, JAL will most likely set up these bamboo trees at select outports too. If not, at least at the international terminals at Tokyo. In the past, JAL had set up bamboo trees inside the international lounges at Narita. For more details, you can refer to the Tanabata special page on JAL website (in Japanese only).